Wednesday afternoon saw Itchen College play their first official WEABL home game, hosting Southern Conference rivals John Madejski Academy. The contest saw the visitors walk away with a 52-72 win as they improved their record to 4-1 on the season. The first quarter started slow, with both sides finding it difficult to find the basket. Tough defence played by both sides left the score at 5-7, before Paula Romero Tarrega had six points as part of a 14-0 run for JMA, who finished the quarter leading 5-23. The Itchen squad showed some fight in the second quarter, locking in on defence. Heather Johnstone lead the home side with two three-point plays as the hosts took the quarter 15-14, heading into half-time down 20-37. The second half was much the same, as JMA picked up the pressure with an effective full-court press which caused Itchen problems that resulted in baskets for the visitors. Despite a 15 point second half effort from Luisa San Juan, the hosts were unable to match the perimeter play of the well-drilled JMA side. Itchen were lead in scoring by Luisa San Juan’s 19 points, as Heather Johnstone added 15. JMA were paced by 15 points apiece from Noa Sanchez Marques and Paula Romero Tarrega, as Anabel Latorre Ciria chipped in 13. 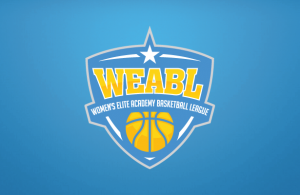 Both teams now await the New Year as they head into the second half of the season after completing their WEABL schedule for 2018. The second half of the season begin for Itchen with a visit from Barking Abbey School, whilst JMA will travel to Copleston High School.